Traditionally the only people credited on the cover of comics has been their writer and their penciller, making it looks like there were only ever two people working behind the scenes to create the comic you hold in your hands. Lately publishers have started to come to their senses and have started crediting the inkers as well, however the colourist are simply forgotten about on the covers of pretty much every comic I’ve seen. (Don’t worry letterers I haven’t forgotten about you either) The only instances of the colourist being credited on the cover is when they’re also taking on another role i.e. the penciller or inker. 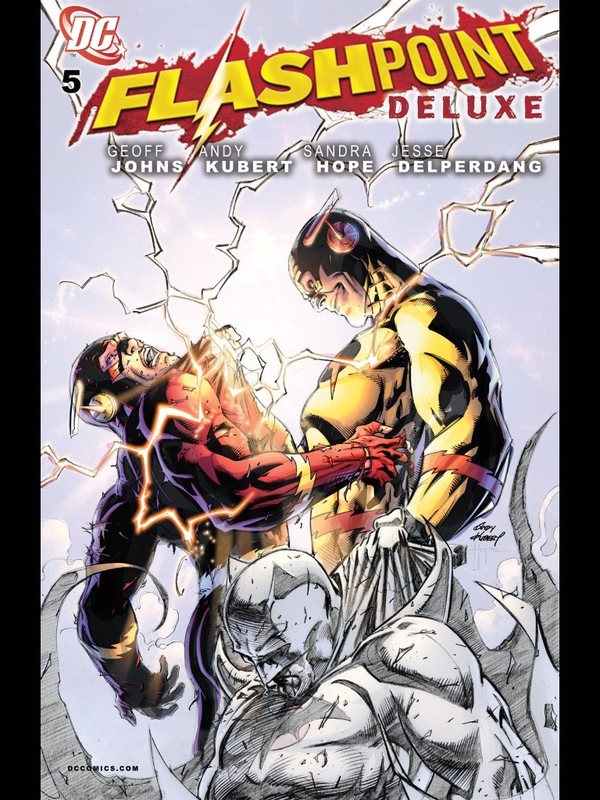 This is even the case when they’re fairly high profile such as Alex Sinclair, who often collaborates with Jim Lee, and was the colourist on the recent Flashpoint series for DC however was not credited on the cover. 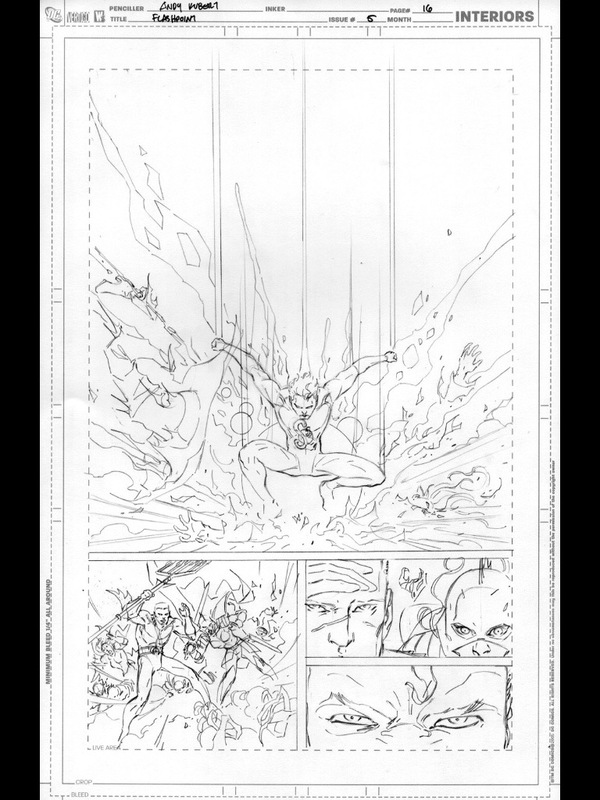 Traditionally I suppose colourists, and inkers, weren’t credited separately because their were no separate colourists, or inkers, all of the art duties were handled by one person. However as the industry grew artists simply couldn’t keep up with the schedule that was demanded of them, as well as artists getting more specialised at specific tasks, thus separate colourists and inkers became more prevalent in the industry. 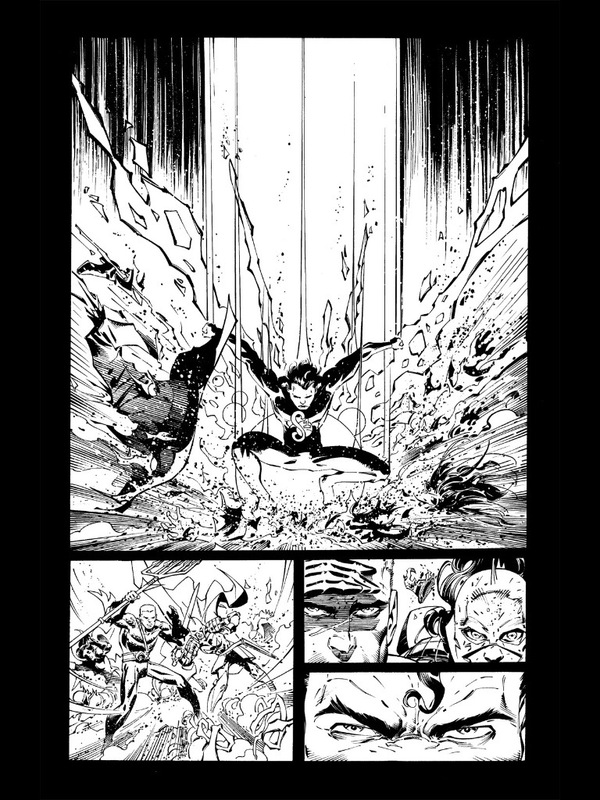 Gradually the practice of multiple artists grew and the industry could start to compare the work of different inkers and therefore started to realise how much of an impact a good inker could have to the eventually quality of the comic. This led to them starting to get credited up there with the writer and penciller, indeed the inkers name became an attraction to potential customers as they started to recognise frequent penciler/inker teams who they may have enjoyed in the past. The acknowledgement of inkers still isn’t universal although it is a lot better than it used to be, colourist on the other hand still aren’t credited at all and I believe they have as much of an impact, if not more, than the inker. Just look at the colours in the page from Justice League at the very top of this article, when I first saw those it blew me away that such vibrancy could be achieved on a page, plus such soft hues helped to break up the otherwise very sharp intense colours of the rest of the issue, though Sinclair still doesn’t get cover credit. 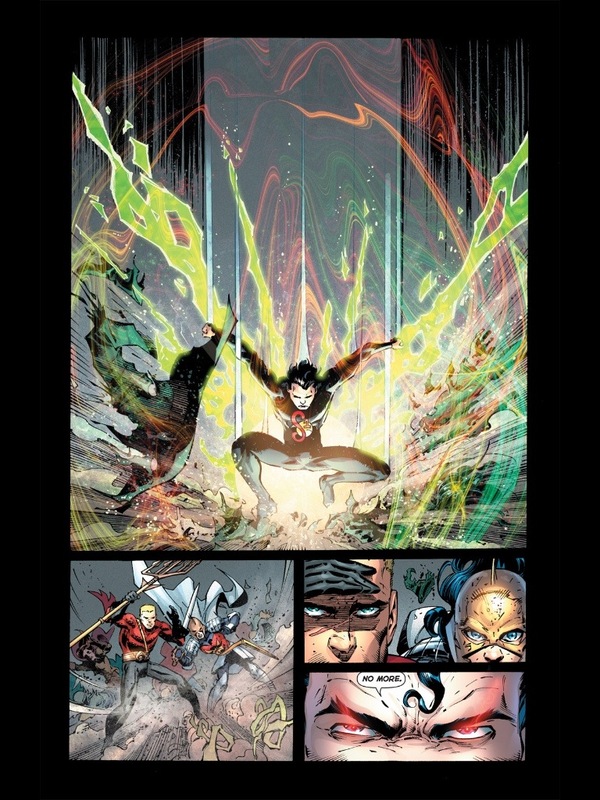 However lets go back to the example of Flashpoint from earlier, gradually throughout this article you’ll find the in progress pictures of a page from the final issue of that series, ranging from the rather wispy pencils, much more defined inks and finally to come the amazing colour work by Alex Sinclair. Without a doubt all the artists on this title are brilliant, however that jump from inks to colours is simply staggering and its moments like this that make you go wow when turning the page and seeing whats next. I think theres a bit of hesitance to give colourists a lot of credit now comics have moved into the digital world, after all tools like photoshop make effects like the one above very easy to achieve. However new innovations don’t always make things that easy, it still takes a lot of skill, time and effort to learn how to use photoshop effectively and the advent of the word processor did nothing to hamper the credibility of authors who had used typewriters or good old pen and paper beforehand, and just like authors colourists still keep their own style when moving to the digital world. Just because artists use digital tools doesn’t mean they aren’t distinct, look at a graphic novel such as Bryan Talbots ‘Alice in Sunderland’ something I had the privilege of witnessing being assembled digitally, and then look at the picture from Flashpoint again, theres no way these two could be confused. Colourists bring that much to the comics that they colour that theres no way we can continue to not credit them and indeed their names should be just as an attraction as the pencilers and inkers for comic buyers when they’re looking around their local comic store. Pokémon Yellow finally hits the iPhone… or does it? 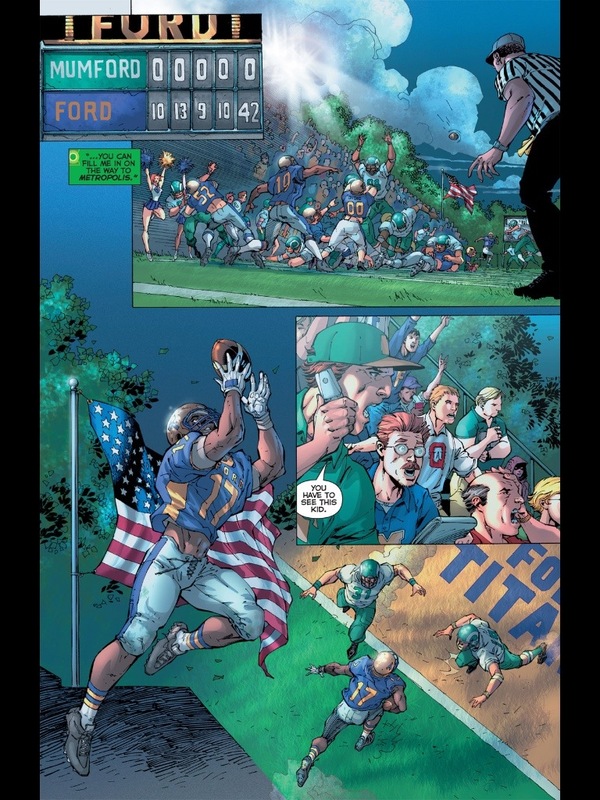 Scott Williams inked that issue of Justice League…not Alex Sinclair. Both Artists’ names appear on the cover. I like when Marvel credits the Writer, Penciller and Colorist on a cover but ignore the Inker. Such is the case with the Incredible Hulk relaunch (Nov. 2011) that I worked on. Ah thanks for that, amended the article now for the name mix up. Only Williams’ name appears on the cover of my copy of Justice League #1, and the graphic novel, though. I think there needs to be a set way of crediting artists established, I’d be happy with writer, penciller, inker and colourist on the cover and on the rare occasion the letterer too.